– Thursday’s broadcast will feature the final countdown to Slammiversary with a huge main event match that will start the broadcast at 9/8c: “The Icon” Sting will team with Joseph Park to battle World Heavyweight Champion Bully Ray and Devon of The Aces and Eights! With just days before Slammiversary, will all hell break loose when Sting and Park battle one of the greatest tandems in wrestling history in Team 3D? Will Bully Ray try to eliminate Sting before their World Title main event? With Joseph Park in action – will “The Monster” Abyss make another unexpected appearance? Don’t miss the opening to Thursday’s broadcast! – After spoiling the patching-in ceremony by the Aces and Eights this past week, AJ Styles will be in action on Thursday against Mr. Anderson! However, plenty of questions still surround Styles – despite burning the Aces, AJ also blasted Kurt Angle! After being made a fool, will Anderson try to get revenge on Styles? Will AJ explain his actions from this past week? Just when we think we know the answers – AJ changes the question! -Also, a HUGE 8 man tag team match will occur this Thursday on IMPACT as Chavo Guerrero, Hernandez, James Storm, and Gunner team to take on Bobby Roode, Austin Aries, Daniels, and Kazarian. 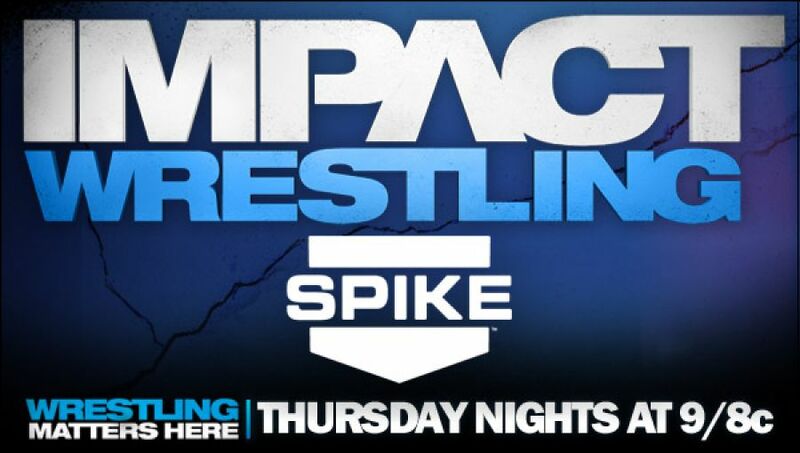 – Plus, more news and updates on Slammiversary, Thursday on SpikeTV at the NEW START TIME of 9/8c!